This drywall robot from Japan’s Advanced Industrial Science and Technology (AIST) has been training for some time, and is now ready to (slowly) tackle one of the most basic construction jobs - hanging drywall. The researchers see the robot as a replacement for an aging population and a declining birth rate. “It is expected that many industries such as the construction industry will fall into serious manual shortages in the future, and it is urgent to solve this problem by robot technology,” the write. “Also, at work sites assembling very large structures such as building sites and assembling of aircraft / ships, workers are carrying out dangerous heavy work, and it is desired to replace these tasks with robot technology. 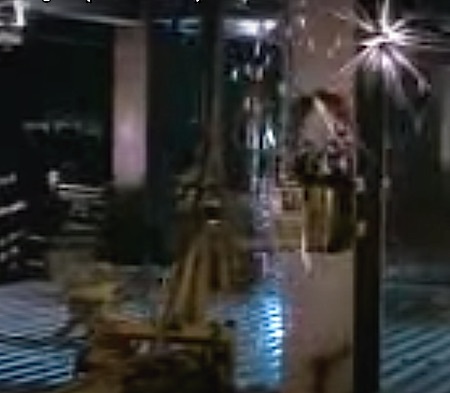 Construction robots were shown very convincingly in the 1985 movie Runaway, along with a lot of other predictions (including the drone floater camera, which was pretty slick).